Skin Rejuvenation is a non-invasive biophotonic treatment designed to rejuvenate your skin comfortably and with little to no downtime or pain. Inspired by photosynthesis, the scientifically documented technology stimulates your skin’s own biological processes to improve your complexion and overall skin quality. 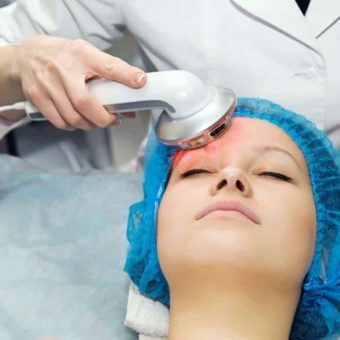 Skin Rejuvenation has a high safety profile with little or no downtime. Our fully qualified therapist will advise you of a skin care regime along with aftercare during your treatment. It usually takes 6-10 treatments to achieve optimal results. A good skin care regimen combined with a monthly maintenance treatment is sufficient to obtain results. These powerful natural skin nourishing proteins re-store depleted, damaged cells to a more vibrant youthful condition. Collagen is stimulated, fine lines and wrinkles are plumped and filled out to give a smoother appearance and skin tissue becomes instantly firmer and toned. Results are dramatic after one treatment. A single treatment will produce visible immediate results and is an excellent introduction to home care.